I’m not a fan of wasted space in user interfaces, so any time I can consolidate down to only useful functionality I’m happy about it. 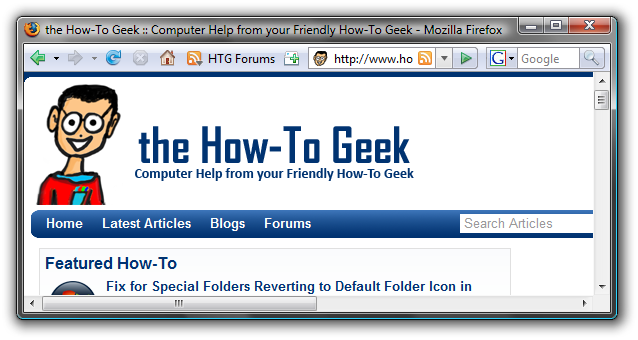 The subject today is how to consolidate the Firefox toolbars down to just the items we actually use, to save space for the 45 tabs I like to have open. 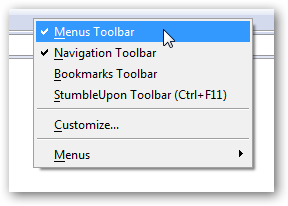 To show the menu toolbar again you can use the Alt key. You’ll also notice that some new items will be added to your menu, which can be customized or just removed. 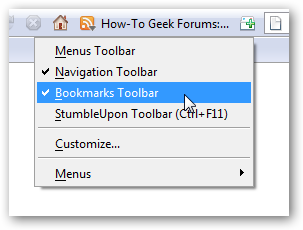 Then click and drag the “Bookmarks Toolbar Items” to another toolbar… I chose to move them to the Navigation toolbar. 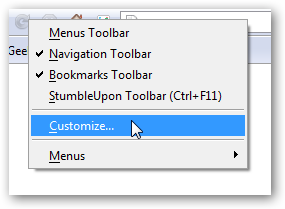 There are other customizations you can do as well, such as removing the Go button to save even more space.